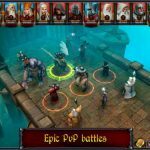 Turbo Tape Games’ iOS title Warhammer: Arcane Magic is a digital board game set in Warhammer Fantasy Battles, and it allows you to assume the roles of some of the more famous wizards in the series. 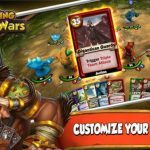 By playing spell cards, you get to fight some of the series’ most notorious monsters, including Harpies, Cygors, and Exalted Bloodthirsters, or get the monsters to fight alongside you. You can play the game in single-player campaign mode, which features two campaigns across 16 lands. That’s just the tip of the iceberg, but since this is a rather complex title that could take up a lot of your time, we’ve done you a favor and put together a Warhammer: Arcane Magic cheats and strategy guide to talk you through what needs to be done in your search for Arcane Magic. 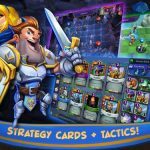 The goal of this game is to enter Arcane Fulcrums, but before you do this, you want to use your power to the fullest, and only replenish it through Arcane Fulcrums once you’ve spent as much as you can spend. All of the game’s monsters have their own attacks, and we advise you to take note of the plural – some have multiple attacks that will be designated by colored lines showing you range and attack types. If you pay attention to this data, you can duck out of range before the fact and before the turn is over. Even if you aren’t able to do this, you can, at the very least, dodge more dangerous enemies. Giants are big, lumbering beasts that can take out anything or anyone nearby. That makes them a clear and present danger to your Wizards whenever they’re around. That said, your best bet is to stay at a distance when attacking giants, making use of ranged attacks as you stay far back and remain as safe as possible. A lot of your spells deal out splash damage, or damage that also affects monsters near the main target. Splash damage is great to deal out against any type of monster in Warhammer: Arcane Magic, but it’s most effective against Harpies. Harpies have low hit points, so a mild splash attack would be good enough to take them out in one go in most cases. While you can deal splash damage from your end against enemies, there are also several creatures who can do the same to you – the Daemons would immediately come to mind. To defend against splash damage, avoid positioning your wizards too close to each other, as that might allow enemies to hit the proverbial two birds in one stone. Likewise, you should also keep your wizards at a distance from each other when you’re dealing with Vortexes. These are super-powered spells that can turn the tide for the bad guys, as they have a devastating effect and can sometimes remain for multiple rounds. Vortexes also move around with the winds and affect anything in their path. They do, however, blow in a straight line, which should allow you to avoid them if you’ve got your wizards positioned the right way. You can grind your way to more gold and many other bonuses in Warhammer: Arcane Magic, but there is a twist in this game that we shall be explaining to you right now. If a wizard kills a monster for the first time, they’ll get a kill bonus in their name. So if you replay a previously completed level with new wizards, or having a wizard kill a monster that he hadn’t killed previously, you can use the time-tested technique of grinding to your advantage and secure yourself more loot. The Plunder Pack you discover will yield Scrolls, among other types of loot. These single-use items will give your Wizards special powers that they didn’t previously have. You can also use Scrolls to lure monsters over to your side and have them fight for the good guys. With those two things, Scrolls can be literal game-changers, so make sure you equip your characters with them if you’ve got some open slots available. Hexes and Augments have the ability to dent your enemies’ stats, or work positively and improve your stats or those of your allies. However, their effects are often time-bound, which makes it best to use them early in your turn so you can take full advantage of them. Last, but not the least, it’s always sound practice to plan ahead. 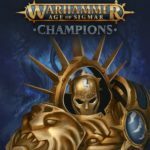 Why does this matter in a game like Warhammer: Arcane Magic? It’s simple – the sequences in which you perform actions could have a significant impact on your strategy. Analyze your enemies and check for the fundamentals, such as positioning – these are just two of the things you can do to make sure you’ve got a good plan, and a specific one at that.